Marketing technology is a dangerous weapon in the wrong hands, and nowhere is this more evident than in the recent surge of interest in automating BDR campaigns and other sales communication. In both technology (see companies like InsideSales.com, ToutApp, and others) and application, sales enablement is a hot topic in martech circles. Sure, you can argue that it’s not technology that sends spam, people send spam. And I agree. With the right email cadence, messaging, content, segmentation, and offer strategy, there’s no reason to think that technology which automates sales communication can’t be a force for good. In theory, marketing automation can be as much a boon to sales productivity as it was and is to marketing ROI. But therein lies the rub. Effective sales communication requires more than just automation. It requires the right message delivered to the right person at the right time. It requires compelling language, an enticing offer, and a clear call to action. Most lead follow-up emails have none of the above. Why? Based on anecdotal evidence like the quote above, I suspect that far fewer BDR campaigns, automated or not, are getting the same amount of strategic forethought, planning, and yes: professional guidance, as their marketing counterparts. Well, Mr./Ms. Vice President, it can be very complicated. And I would argue that even a short sales email, even one sent as plain text (and not a fancy, HTML “marketing email”), should benefit from the the same, careful planning, creative, and execution as a full-blown marketing campaign. BDRs and their managers may be good at many things, but (with rare exceptions) they’re not copywriters or email strategists. 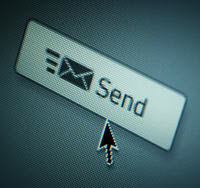 One bad email can do more harm than good. One bad email fed into an automation engine can destroy a thousand viable prospects before you know it. Just step away and let us professionals handle it. This entry was posted in B2B Marketing, Campaign Strategy, Copywriting, Creative, E-mail, email marketing, inside sales, Marketing Automation, Sales 2.0, telemarketing, telesales and tagged B2B email agency, bdr campaigns, email campaigns, email consultants, email marketing, email marketing agency, inside sales, Marketing Automation, marketing automation consultants, sales communication, sales enablement on January 19, 2016 by Howard Sewell.